Antonio Conte targets £40m Italian defender labelled as one of the best in the game? Leonardo Bonucci is a player that has been linked with Antonio Conte and Chelsea ever since Conte arrived in West London. Now, after a fallout with the Juventus management, the 29-year-old defender could become available this summer. 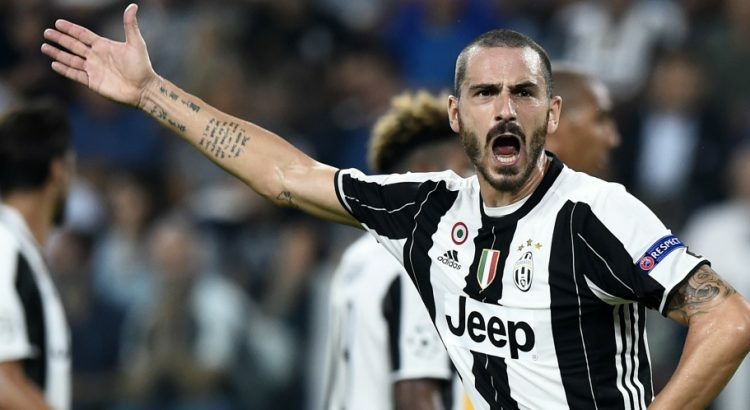 It's no secret that Bonucci has been a vital and pivotal part of Antonio Conte's plans whilst at Juventus and also with the Italian national team. It seemed to be the case for the current Juventus manager until a recent fallout after a game against Palermo in which the defender became embroiled in a heated argument over Massimiliano Allegri’s choice of substitutions, sprinting off down the tunnel upon the final whistle. Allegri immediately announced that the defender would be punished for his actions and he was duly left in the stands during the 2-0 away win in the Champions League against Porto. Antonio Conte has worked wonders with the players here at Chelsea this season whatever happens but as with all managers, he will have one eye on the future and will already be looking at potential replacements for those that will be leaving the club in the summer. As it stands, the futures of John Terry and Kurt Zouma are up for debate with both having to play second fiddle to Cesar Azpilicueta, David Luiz and Gary Cahill who have been installed as the first choice centre backs in Conte's 3-4-3 formation. Could one of those two be on their way this summer with Bonucci eyed as a replacement? One thing is certain, he is a world class defender and if he is now deemed by Juventus as someone that is for sale now and available this summer, then you can almost guarantee that Antonio Conte would do everything possible to sign him for Chelsea. Someone of that quality would do nothing but improve the defensive options we have available and if anything in my view, would also give Gary Cahill something to think about next season. This has the potential to develop as we head towards the latter part of the season so fingers crossed that we are given the opportunity to sign him. What do you think of Leonardo Bonucci and a possible move to Chelsea?